Get on a vintage bus, sit back and allow Jamil to steer you through the city's cosiest neighbourhoods and quarters. Discover the secrets and hidden gems of Antwerp. Enjoy an atypical tour in a renovated Renault Estafette. 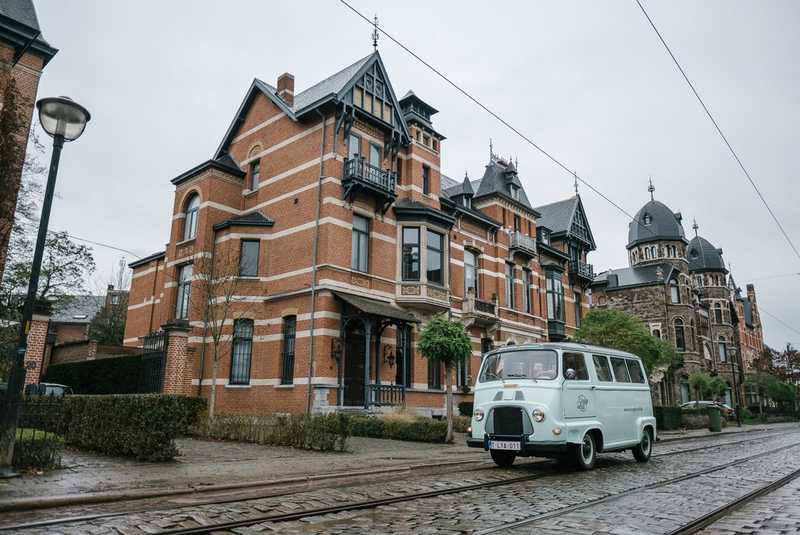 Our driver Jamil avoids the well-trodden paths and shows you the real Antwerp. During the tour you'll experience how people live, work and relax in Antwerp. There are five different sightseeing routes. For example, you can discover the trendy Leien area, multicultural Borgerhout, the palaces of Zurenborg or the rougher parts of Antwerp. The tours accommodates a maximum of eight people. Choose an atypical tour of Antwerp.